I have found that it is important when weight-loss is your goal to build as much lean mass as possible. Muscle is what I call your “fat-burning factory” and is responsible for your resting metabolic rate, “how many calories you burn at rest”, your “Life Force”. This would involve lifting heavier weights for fewer reps according to most of the published data, but I find that also varying your workouts to cause muscle confusion creates muscle growth as well as extra calories burned. For many older adults it does become harder to lift heavy weights on a regular basis, so utilizing a multi-modality approach ie: Pilates, weight-resistance and yoga would be the most beneficial way to build muscle, burn fat, lose weight and feel good in the process. Weight resistance of any kind will allow you to burn more calories overall than cardio in the same amount of time, as the “after-burn” effect, calories burned after the workout is usually twice as long! So get started today and build build build! When it comes to losing weight and building a lean, shapely body, you need to think about it in terms of FAT LOSS. What you want to lose is Body Fat. Strength training builds metabolic, fat burning muscle. Muscle is what gives the body shape. Many people fall for the High Rep/Low Weight Myth thinking that is the way to tone and burn fat. 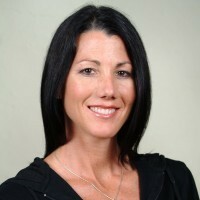 Celebrity trainer, JJ Virgin put it best when I interviewed her. She said “Muscle is your Metabolic Spanx” and if you knock out 15 reps of any exercise easily, clearly that weight is too light for you and you are not challenging yourself and building muscle. Another fat loss myth is that you need to do tons of cardio to lose weight. All the experts agree, quick burst movements rather than long, cardio sessions is much more effective at burning fat, along with strength training. My advice, get off the hamster wheel (the treadmill), pick up some dumbbells and start lifting weights that challenge you. Superset your exercises with a short rest period between exercise, for example, you can do a set of Squats and pair that with Pushups with 30 seconds rest between the exercises. In reality, it is dependant upon the client. For women, ages 30-50, I believe in higher rep lower weight mixed with cardio intervals. Weight training for this group ranges in a 3-4 day split depending on the circumstances of my client. Each person is different and I don’t believe their is a cookie cutter approach when dealing with “FAT LOSS.” Thats the goal here, to lose FAT; not lose the muscle. As women, we get so hung up on that scale and what it says. This is the reason so many yo-yo and don’t give their bodies a chance to catch up with their efforts before “throwing in the towel” so to speak. If your New Years resolution is to lose weight, don’t look at it as a diet but a LIFESTYLE change. I speak from example losing 90lbs since January 2008 myself! Diets come and go. A true lifestyle change is something you ADOPT and make it work for you and your family/loved ones. The only ones that FAIL are those that give up too early! for details about my training programs, upcoming specials and events!